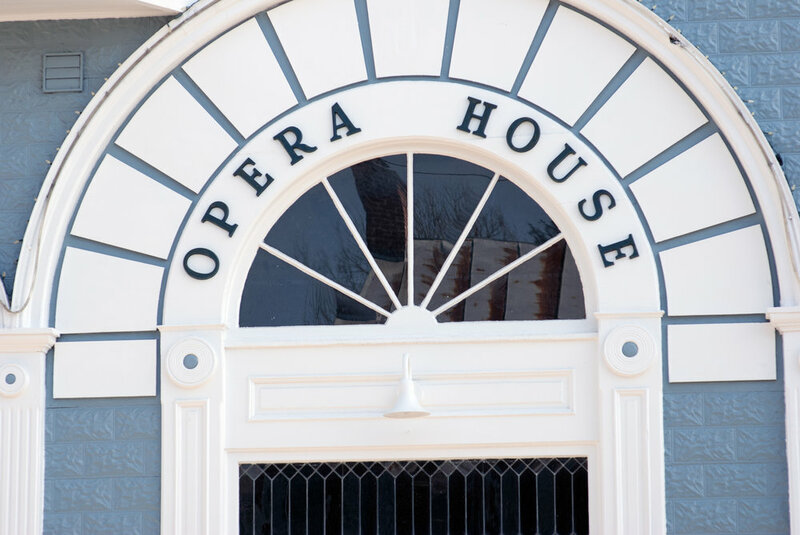 The Opera House in Shepherdstown is one of the oldest active theaters in America -- our stage curtains first opened in 1910 to present vaudeville performances and silent films. We continue this tradition in 2018, programming an eclectic mix of live music, film, and performance acts. Our theater is an intimate and friendly venue updated for the twenty-first century to provide an amazing experience for artists and audience alike. The Opera House welcomes guests of all ages. The theater experienced some flooding on May 16. After we dry out, we will be repairing and rebuilding the Opera House to continue its long tradition of live music, entertainment and films. We'll be posting renovation updates on the website and Facebook page and we'll update the event calendar once we know the timing of the grand reopening celebration! In early 2011 we completed a massive light, sound and visual upgrade including a Presonus StudioLive 24 channel digital mixing board with a DBX spectrum analyzed room EQ. Supporting this we've got a stack of mains and a set of bass bins that can forcibly remove socks from your fans. The room can also be leveraged as a recording studio and a digital visual platform for just about anything. The green room has a full bathroom with shower, wardrobe, large outdoor balcony, and rooms with accommodation capabilities. Historic Shepherdstown is a charming and lively hub of arts, crafts, music, theater, and outdoor recreation in the northern Shenandoah Valley. The town, located in West Virginia's Eastern Panhandle, a short drive from both Baltimore and Washington DC, has a wide variety of dining and lodging options to welcome guests year-round (visit the Shepherdstown Visitor Center website for a complete calendar and guide).